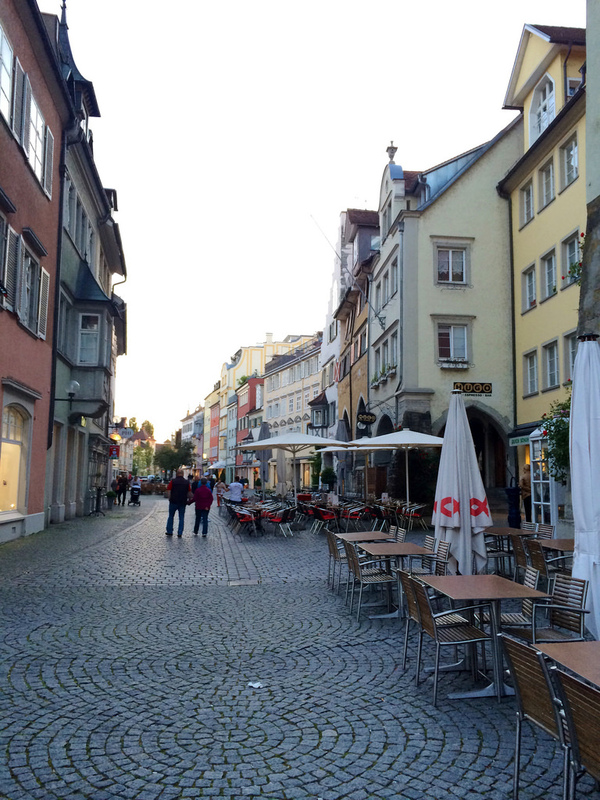 I had never heard of Lindau until B insisted we take a day trip from Heidelberg to see it. 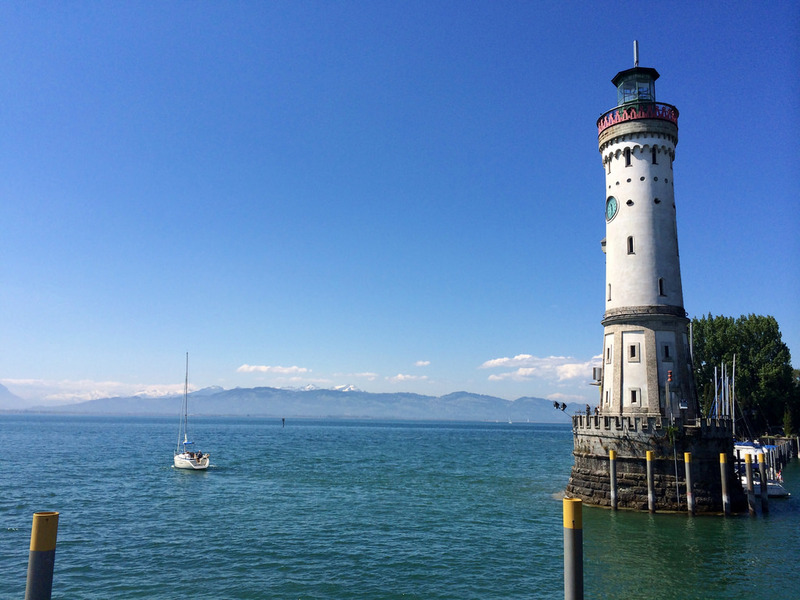 Lindau is a Bavarian town/island on the freshwater lake Bodensee. 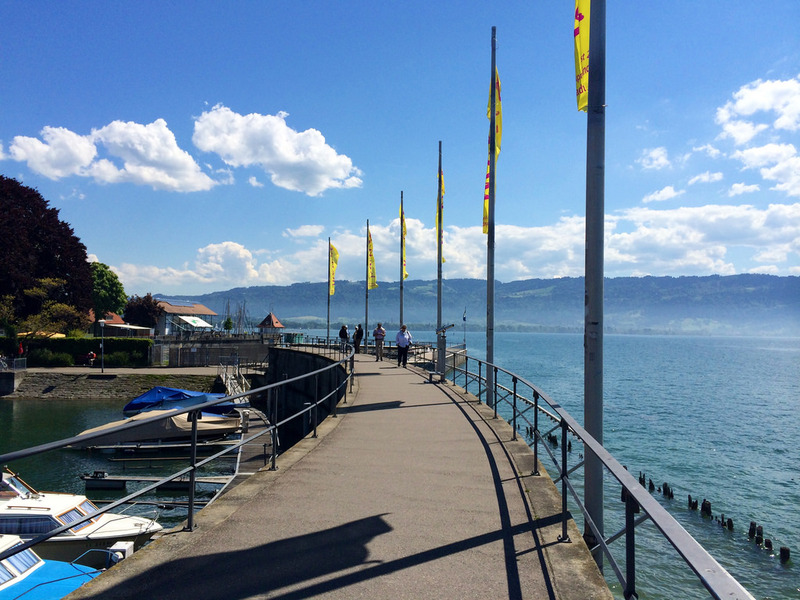 It almost borders Austria and is across the water from Switzerland. 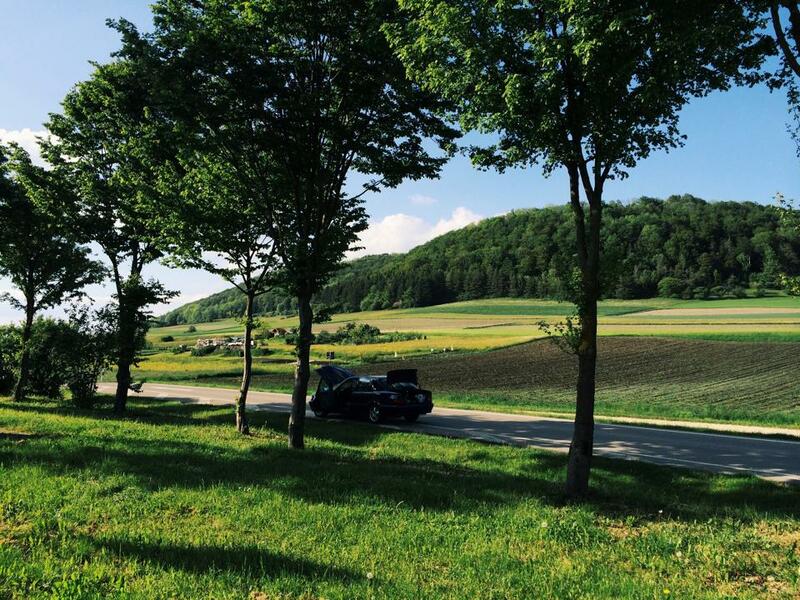 After a beautiful afternoon driving through the bright yellow-green German countryside, we arrived on the island at dusk. It’s a sleepy tourist town and there wasn’t much going on that Sunday evening, but we managed to find a fabulous little Greek restaurant, Akropolis, after a short peep on Yelp.com and stroll through town. Monday morning we walked to their main attraction, the harbor and lighthouse, for a quick coffee and ice cream before heading off to Neuschwanstein which I’ve been dying to see since I learned of its existence. 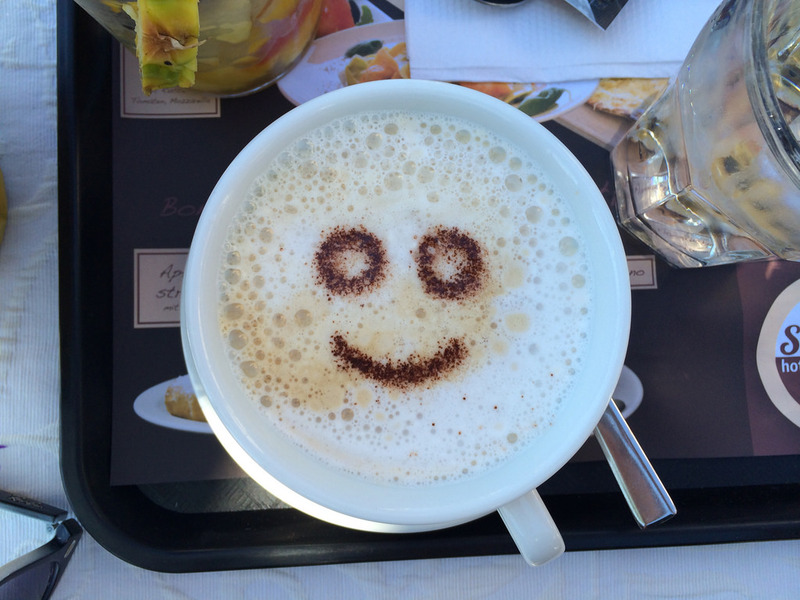 With such a joyous café au lait, how can you not adore this charming town?